Seeking to serve new markets with higher-value products, IndusTREE Pole & Piling in Goodwater, Ala. recently completed a dry kiln recondition and restart project that allows the company to offer premium KD pole products along with its longtime white pole offerings. 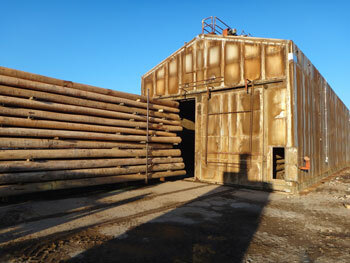 The newly operational kiln started up in early February and holds up to a 10,000 cubic foot pole charge. According to IndusTREE President Larry Jones, the dry kiln capability enables the company to offer a higher-value product. “We’re continuing to offer white pole products at the pole and piling plant, but in the future it’s expected that more than half the production there will be kiln-dried,” Jones said. Acquired by IndusTREE in spring 2014, the facility includes two McConnell Industries dry kilns and has handling, bucking and peeling facilities with capacity to manufacture up to 300 poles daily. Working with local contractors and dry kiln system vendors, IndusTREE reconditioned the larger, 85 ft. kiln that best fits its product line, upgrading the system for better operational efficiency. The project included structural repair, seal and coating work and a controls upgrade. To take advantage of current low natural gas prices, the kiln burner was converted to natural gas fuel while retaining the option to switch back to biomass if needed. 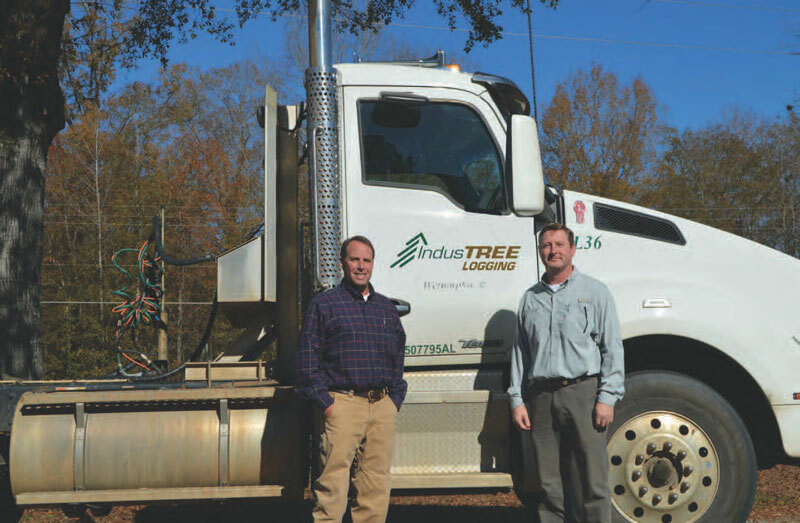 IndusTREE Pole & Piling is part of IndusTREE’s manufacturing division, which includes facilities in Nixburg, Castleberry and Montevallo, Ala. that produce rail ties, utility poles, grade hardwood lumber and pallet stock. Overall, IndusTREE’s manufacturing division produces more than 30MMBF of lumber, over 300,000 rail ties and more than 50,000 poles and pilings annually.